Fiction Panel with Nicola Cornick, Lucy Atkins and Fanny Blake. Too good an opportunity to miss! 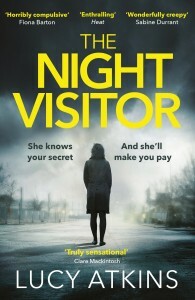 Thriller writer Lucy Atkins and romantic novelist Fanny Blake are joined by international historical bestselling author Nicola Cornick. They will be discussing their personal experiences and love of writing. This event will be compered by Vivien McCoubrey. 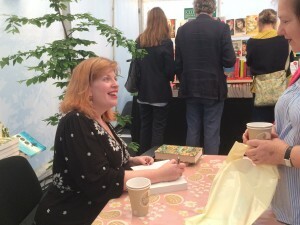 On Saturday I interviewed novelist Sarah Perry at the Charleston Literary Festival in Sussex, about The Essex Serpent. I grew up nearby in the nearby town of Lewes and it meant so much to me to be back on home turf. 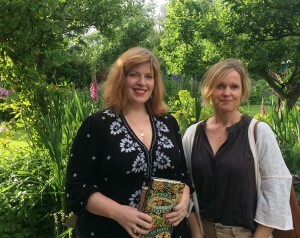 Here are some pictures of the weekend, which happens at the beautiful Charleston Farmhouse, home of Vanessa Bell (Virginia Woolf’s sister) and a Bloomsbury Group hub. 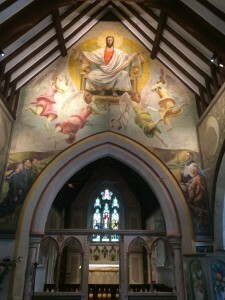 The church is in the nearby village of Berwick and was decorated by Vanessa Bell, Duncan Grant and Quentin Bell – it’s quite extraordinary. Sarah’s event was packed but most of all I wish I’d taken a picture for you of the green room, which is the original farmhouse kitchen, with a decorated colander lampshade, and a scrubbed pine table groaning with scones and clotted cream, Victoria sponges, ginger biscuits, pots of tea…Hard to leave. Esther Freud and Rose Boyt – sisters, novelists, daughters of artist Lucian Freud talk about growing up in a creative family at 12pm Monday 23 March. Marion Coutts author of The Iceberg: A Memoir, a powerful and moving account of her husband art critic Tom Lubbock’s death from a brain tumour in 2008. At 4pm Tuesday 24 March. Maggie Gee, Priya Parmar, Michael Whitworth talk about Virginia Woolf, family friends and a lasting legacy. At 10am Friday 27th March. 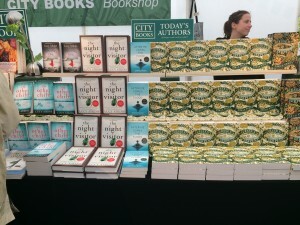 see www.oxfordliteraryfestival.org for more details and tickets.